Penthouse Pied-À-Terre - Gray Magazine praises a Kalu-designed 3 story Vancouver penthouse for it’s dramatic features. The Home Front: Eyes on outdoor living - Kalu partners talk outdoor living design with the Vancouver Sun. 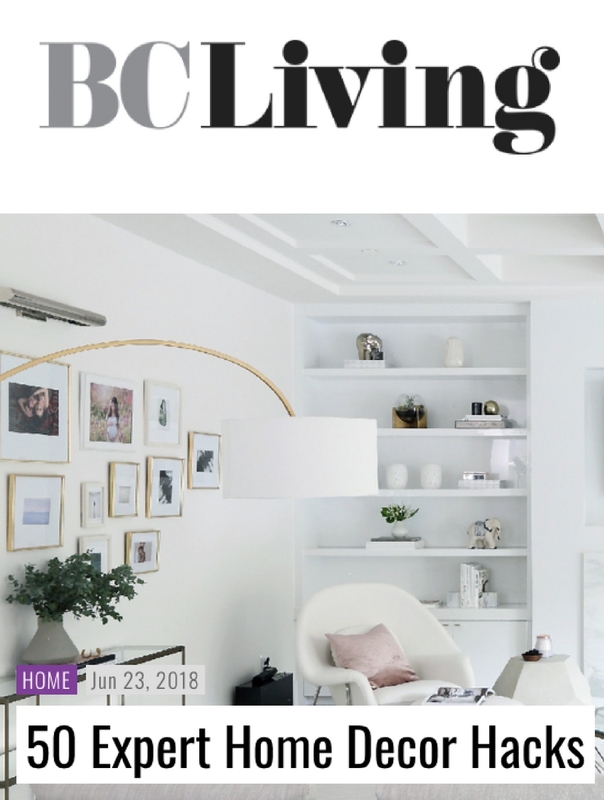 Kalu Interiors contributes tips #27 - #40 to this list of 50 Expert Home Decor Hacks put together by BC Living. 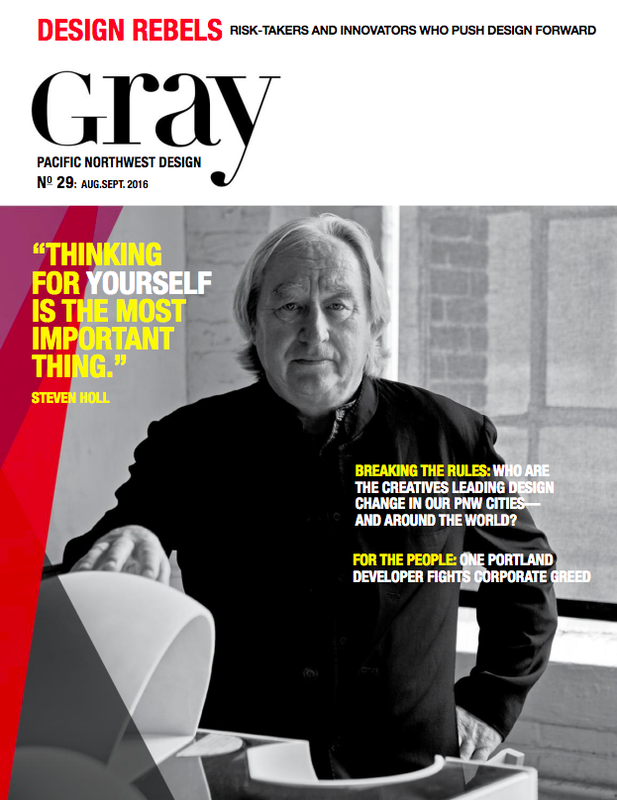 Gray Magazine features Kalu Interiors as a "Hot, New, Next" design firm to get to know. Rennie & Associates interviews Kalu Interiors about designing the Richards Residence. High Style on a Lower Storey. 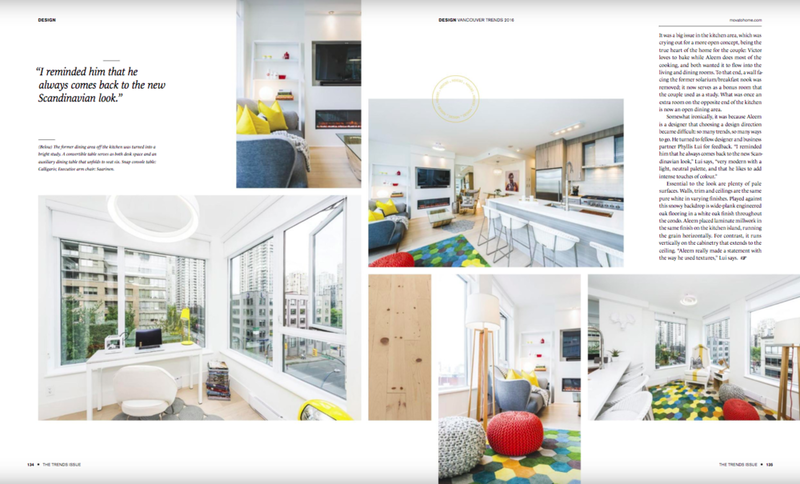 The Vancouver Home Trends issue featured The Homer Residence. See the full gallery here. "The People's Choice winner of the GRAY Exhibit Space Design award is Kalu Interiors for the IDS Vancouver bar! Kalu took us "down the rabbit hole" and created a completely immersive space that was rich and playful." Gray Magazine writes about the whimsical bar Kalu Interiors designed for IDS 2016. Gray Magazine included the Kalu designed bar as 1 of 5 reasons not to miss IDS opening night. 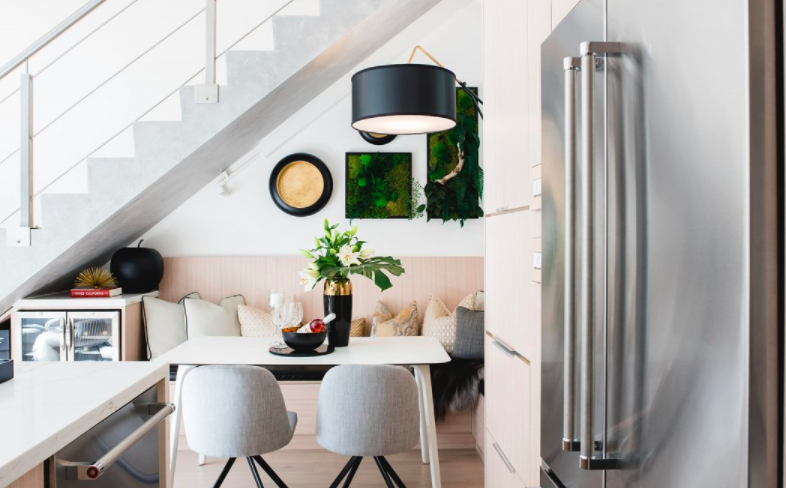 A typical 90's style home was modernized and transformed into a sleek renovated space with a sophisticated muted space with rich textures. See our project pictures of the Fisher Drive House here.